I could see my two friends pulling away from each other. There hadn’t been any disagreement of which I was aware. Both denied having any issues with the other, but the strain was clear. Finally, one late night at a retreat, after much prayer and conversation, one had the courage to speak. Months of relationship strain dissolved after a few moments of discomfort and honest confession. They named their feelings. Asked forgiveness of God and each other. Created a plan for better ways to share about their lives and granted permission to admit negative feelings in the future. The problem between my friends grew because they both tried to hide from their obvious feelings, rather than live in the light that freedom in Christ provides. Since the fall of Adam and Eve, hiding has always been a temptation, but it’s never a solution. It creates a kind of false level of operating, and anything false is not in line with God’s truth. When you’re preparing for a hard conversation, it’s important to examine your feelings. What are your feelings toward the other person? Are you intimidated, afraid, envious or ambivalent? Are you worried, nervous or angry about that person? Do you feel superior, inferior or equal? Is some small part of you happy the person merits correction? Has the person hurt or disappointed you? Are you repelled or disgusted? Are you reminded of someone? Are you so enamored that you make allowances you shouldn’t? Do you admire or respect that person? Some feelings are understandable, and many are desirable. Others are unpleasant, unproductive, unbiblical, but still very present and real. This sorting process doesn’t have to be rocket science, but it does take some courage and integrity. First, come clean with God about your feelings. Name them. You may find you have feelings that conflict or contradict. We’re human. That happens. Just list them all. (The Psalms provide a powerful, biblical example of this.) Don’t try to dismiss the conflicts or contradictions at first. They can be informative. Second, repent of any feelings that stem from sin, such as envy, hatred or revenge. Ask God’s forgiveness and seek a corrective, redemptive path. This path may include confessing these feelings to another person or resolving them with support from spiritual counsel. Using a concordance, look up Scriptures that address these feelings. It may help to reflect on these verses prior to your meeting. Third, seek his guidance on when and how to share your feelings with the other person. If you decide to share difficult feelings with the other person, consider prayerfully the words you’ll use to do so. Finally, prepare to reciprocate. What do you know of the other person’s feelings toward you? Can you validate any of them? Are you prepared not to judge the feelings, but to trust God to help you sort through them together? Strong emotions are drivers. We want the Holy Spirit to drive our hard conversations, so we need to bring every thought and emotion under his leadership and direction. We serve others by creating an atmosphere that facilitates them doing the same. Our feelings must serve God, not our own agendas. In some ways, allowing people to honestly express emotions during a tough talk demonstrates a faith that God is bigger than those feelings and can still reign over what occurs. We can only control our own feelings (and barely that sometimes). Trying to manage, contain or minimize someone else’s emotions too often utilizes energy and conversational resources better used employing biblically informed skills. This excerpt is © 2018 by Lori Stanley Roeleveld. It may not be excerpted or distributed without the express written permission of the publisher. 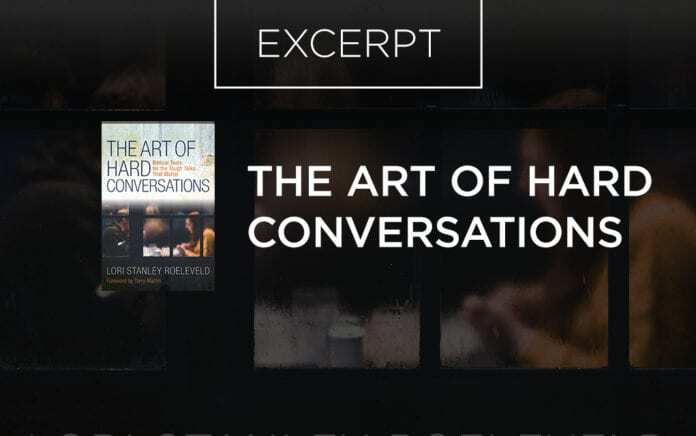 The Art of Hard Conversations will be published by Kregel Publications in February 2019. 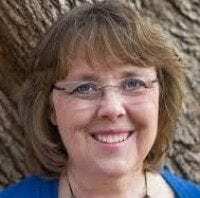 Lori Stanley Roeleveld works in Rhode Island with at-risk families or those who have a child with a serious emotional disorder.